Minister of Children and Youth Affairs, Katherine Zappone launches the National LGBTI+ Youth Strategy – a world first. supportive and inclusive Ireland for LGBTI+ young people. According to 2017 research commissioned by BeLonG To and GCN, some 70% of young people do not feel safe at school. The 2016 LGBTIreland Report highlighted that one in four missed or skipped school to avoid negative treatment due to being LGBTI. One in four considered leaving school early, and approximately one in 20 quit school. “We are proud that through our lobbying and advocacy work, we were instrumental in the development of this Strategy. The journey to the launch of the Strategy has been insightful, inspiring and at times heart-breaking as we listened to the voices of LGBTI+ young people across Ireland, and heard about the isolation, harassment and bullying they experience because of who they are or who they love. The next 3 years will be about implementation of this Strategy to ensure that LGBTI+ young people are visible, valued and included in schools and communities wherever they live in Ireland. At BeLonG To we know that growing up LGBTI+ isn’t all rainbows. We have educated schools on how to support LGBTI+ students through our annual Stand Up Awareness campaign reaching over 151,000 students last year. 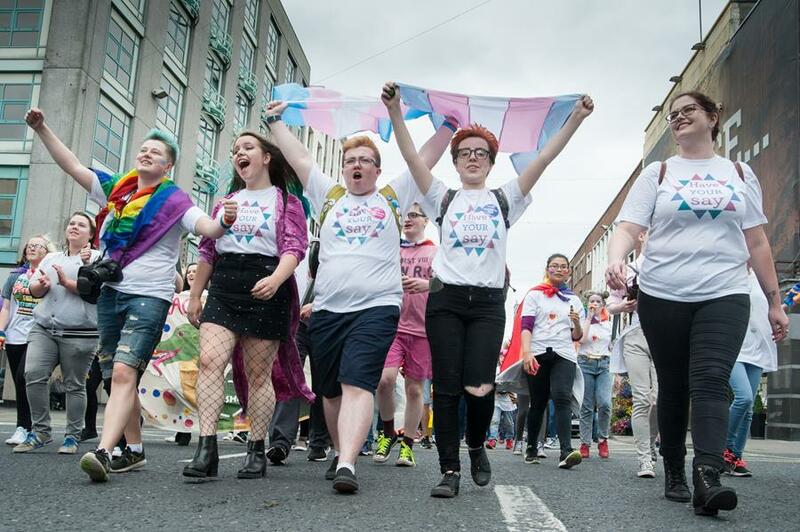 In 2017, we supported 37 LGBTI+ youth groups across Ireland connecting rural and often isolated, LGBTI+ young people with an LGBTI+ peer support group led by professional Youth Workers. The National LGBTI+ Youth Strategy is a 3-year action orientated strategy designed to remove the barriers that LGBTI+ young people face based on their sexual orientation and gender identity. Some 4,000 young people across Ireland fed into the strategy.